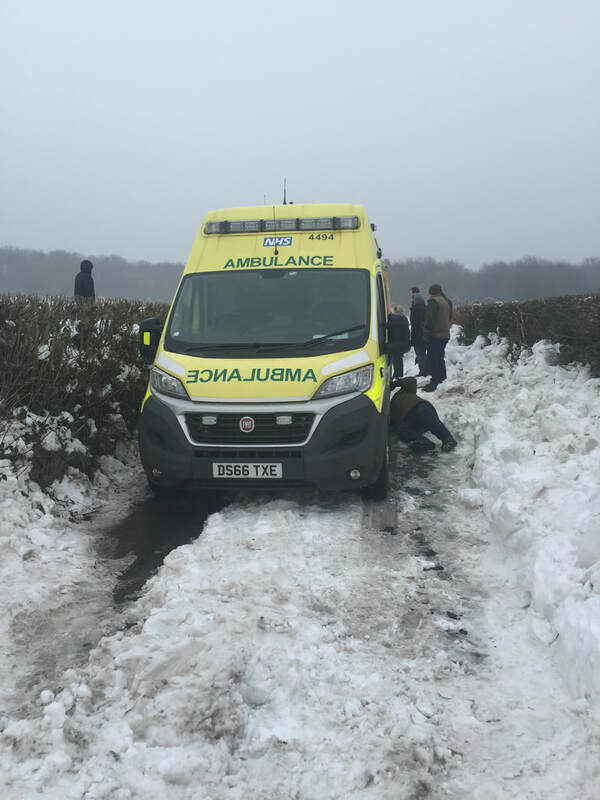 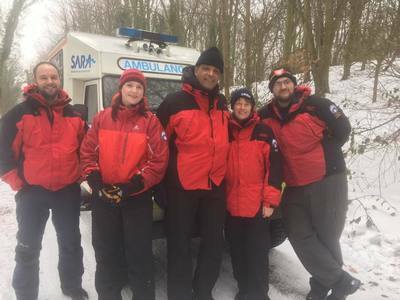 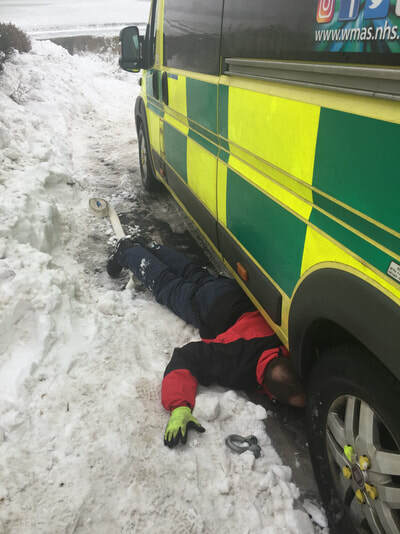 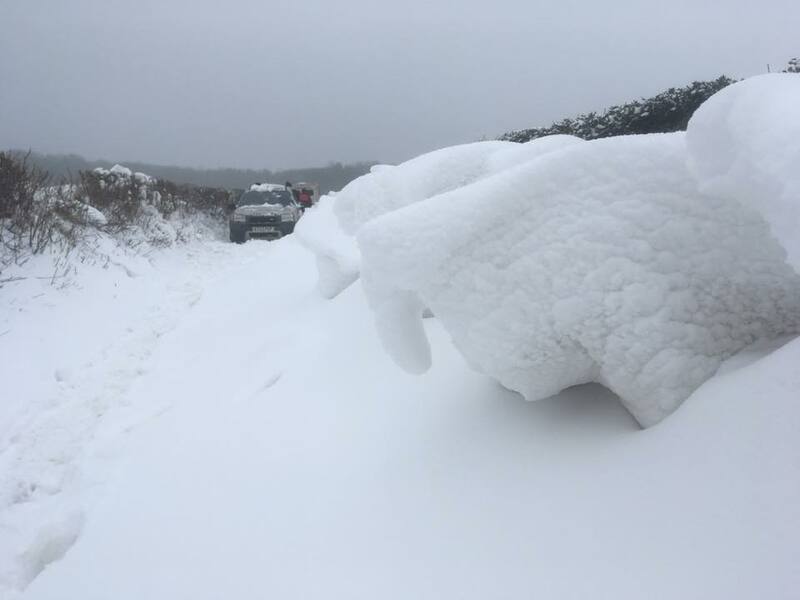 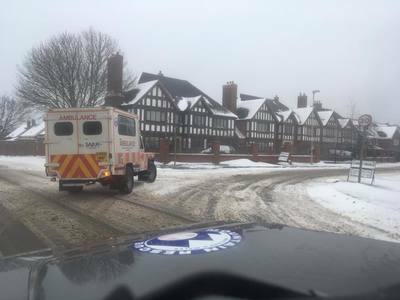 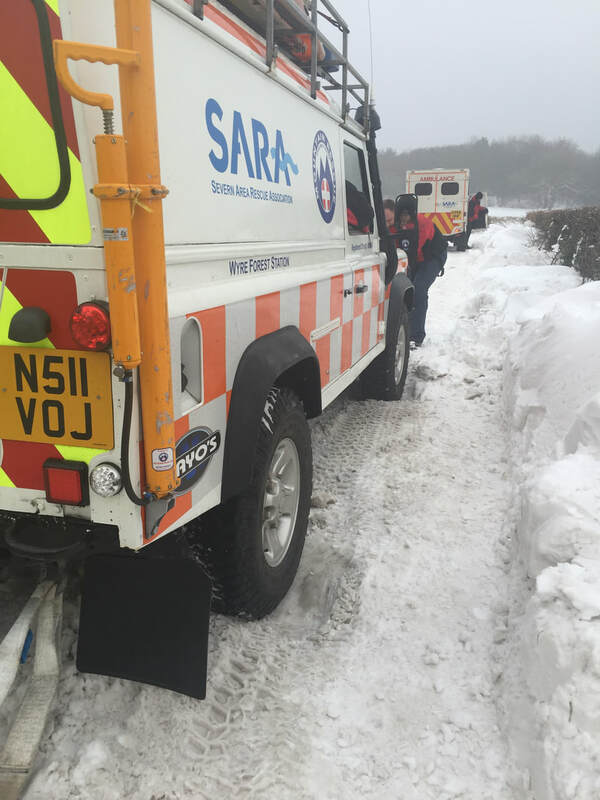 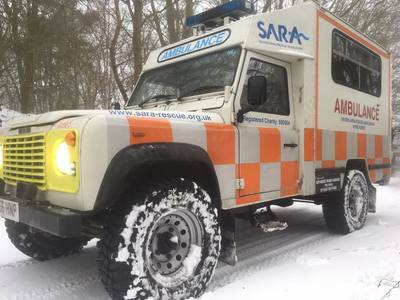 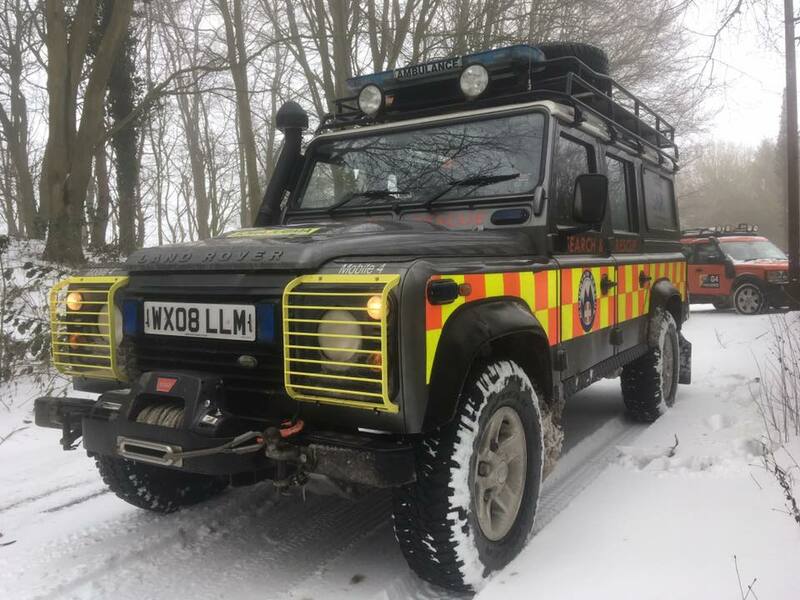 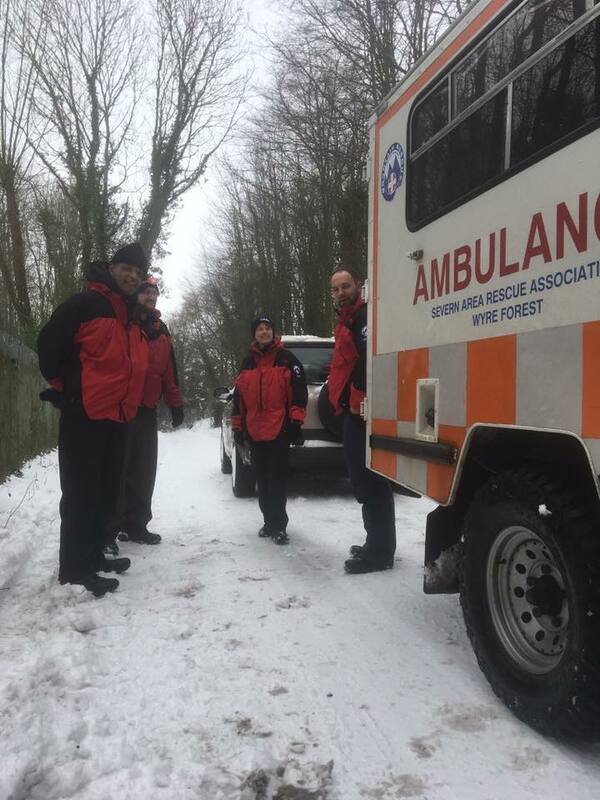 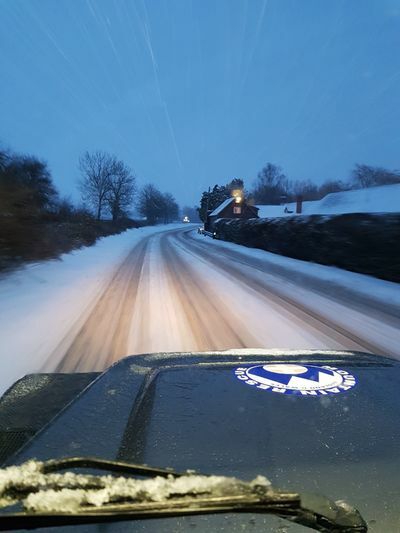 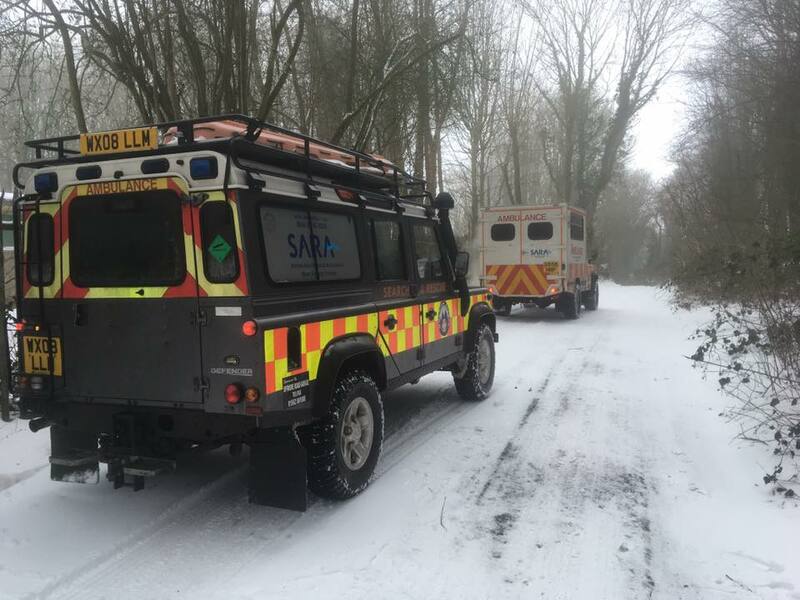 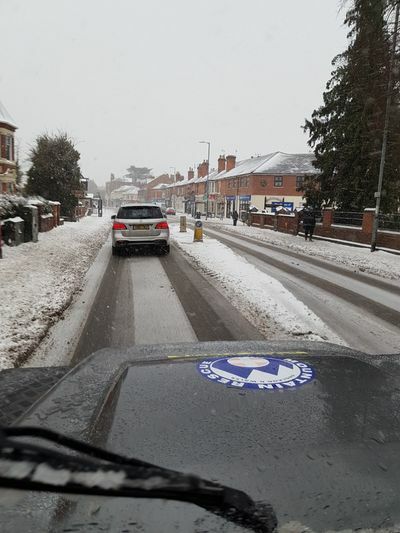 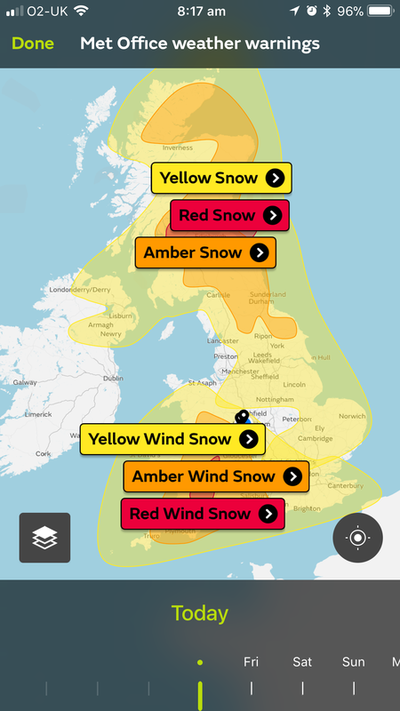 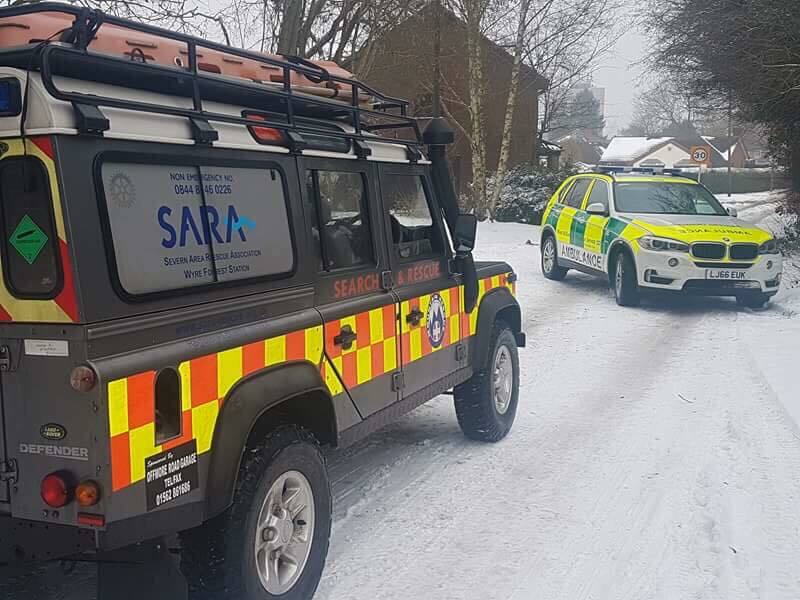 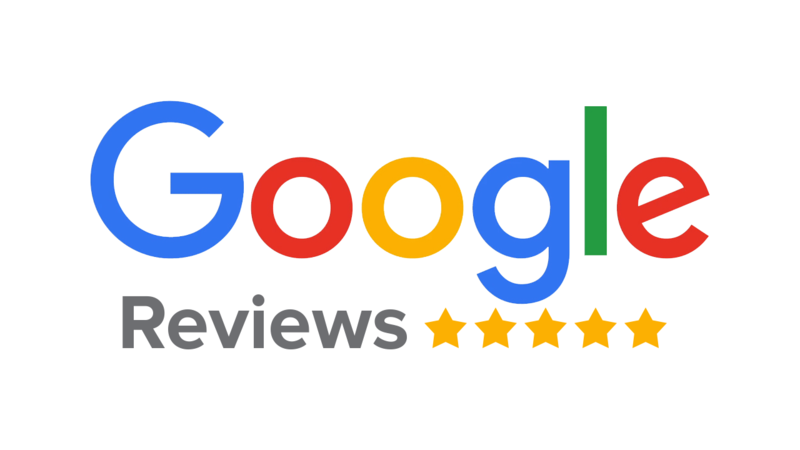 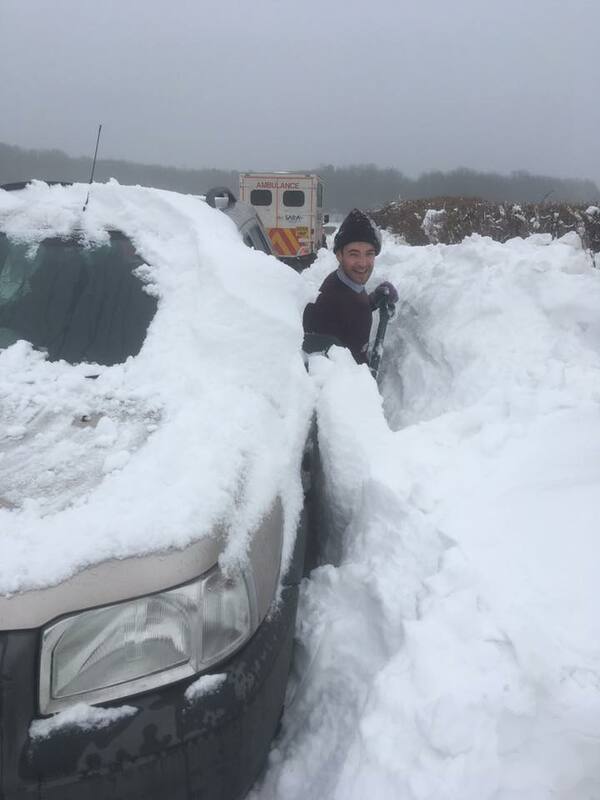 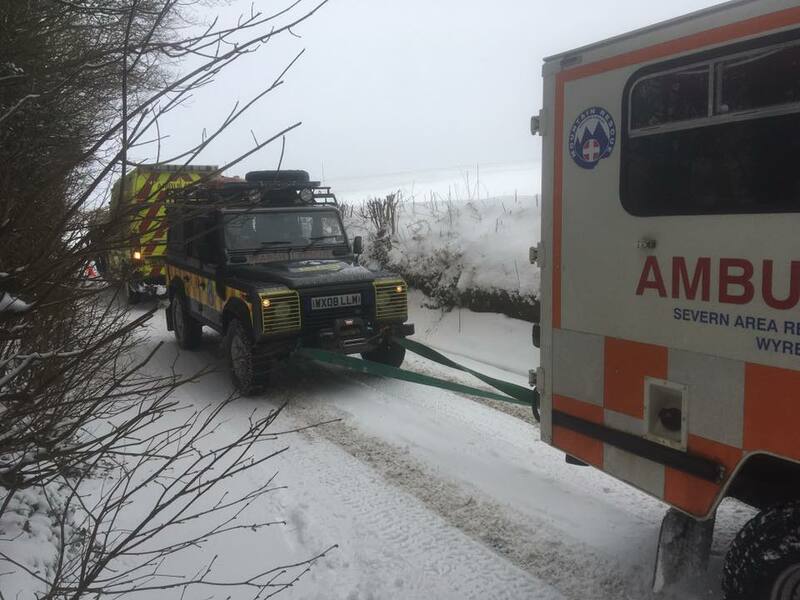 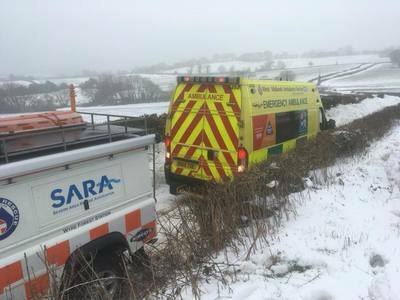 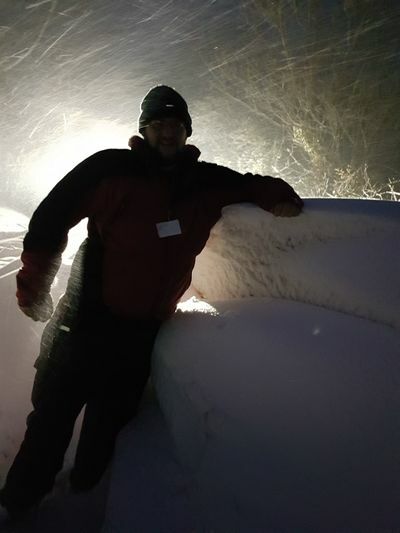 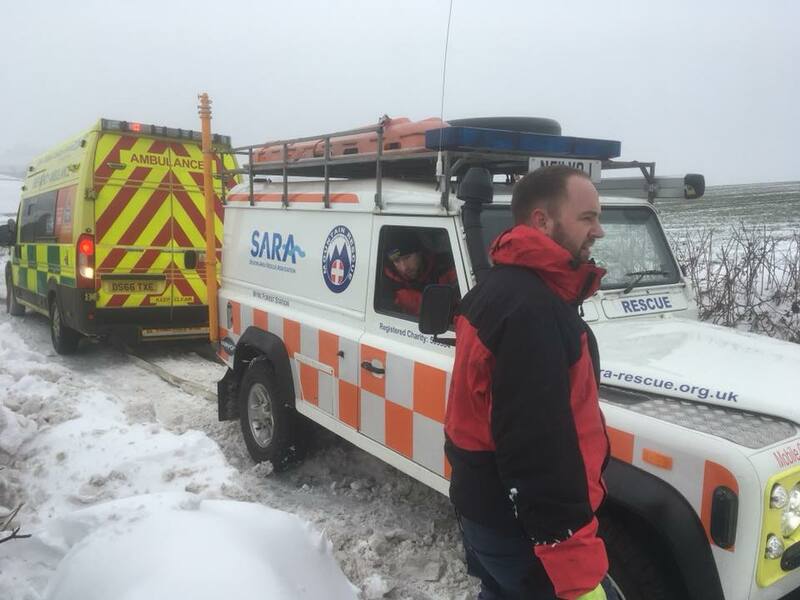 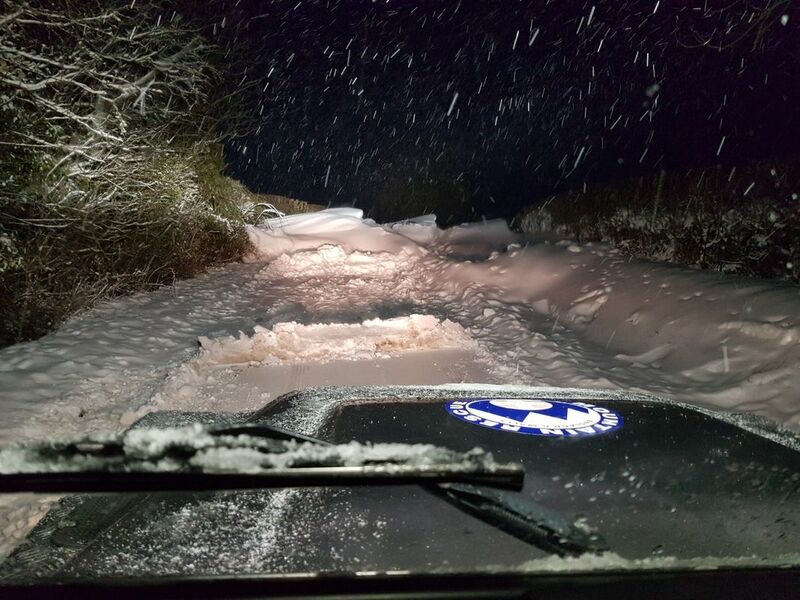 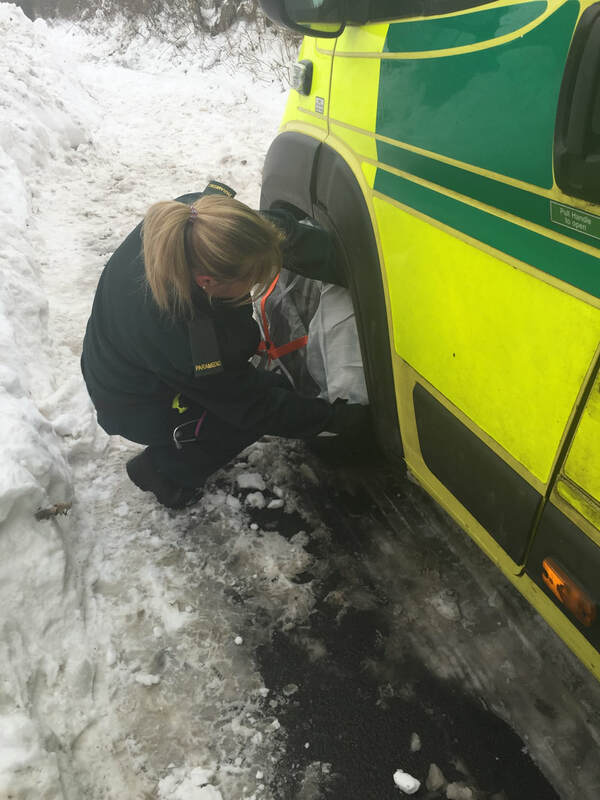 From 1st to 4th March 2018, SARA Wyre Forest were tasked by West Midlands Ambulance Service (WMAS) to support and assist their ambulances during the difficult weather conditions. 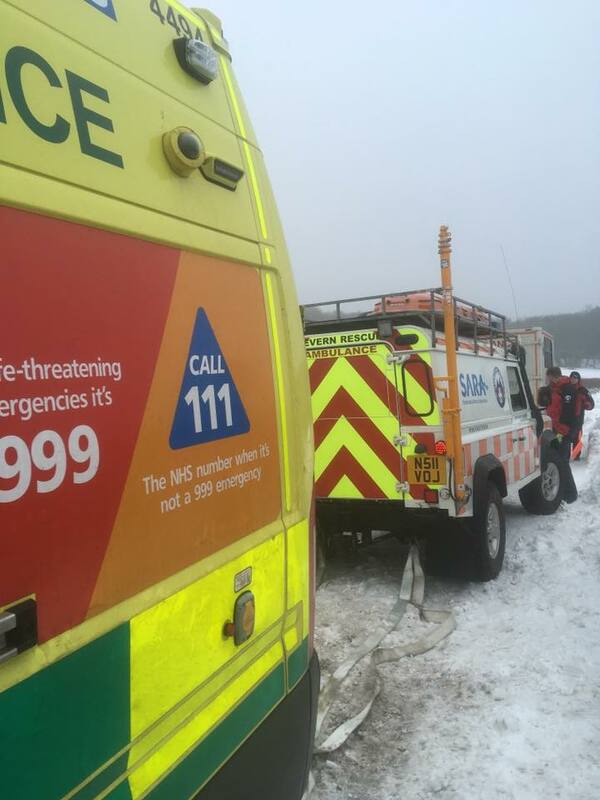 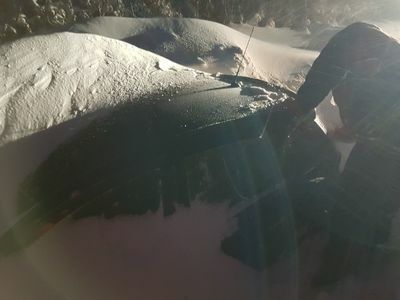 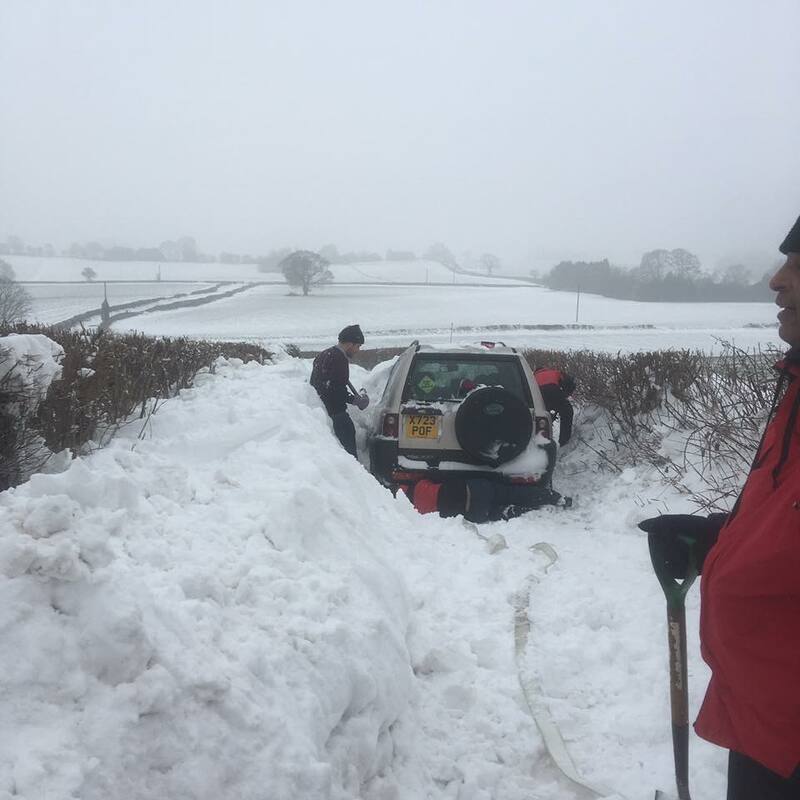 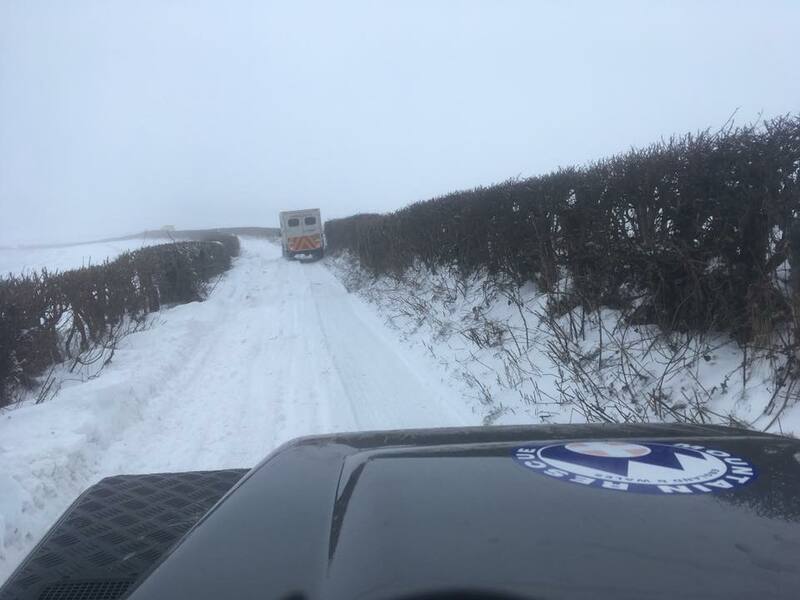 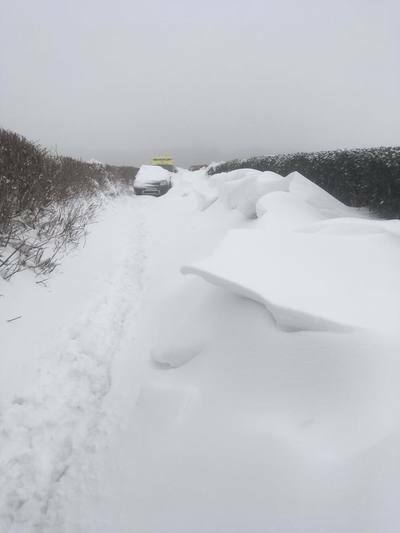 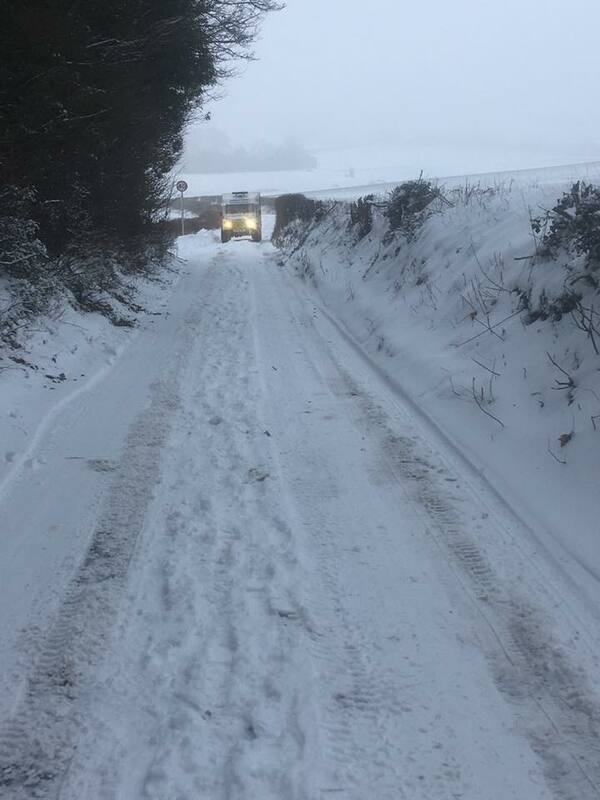 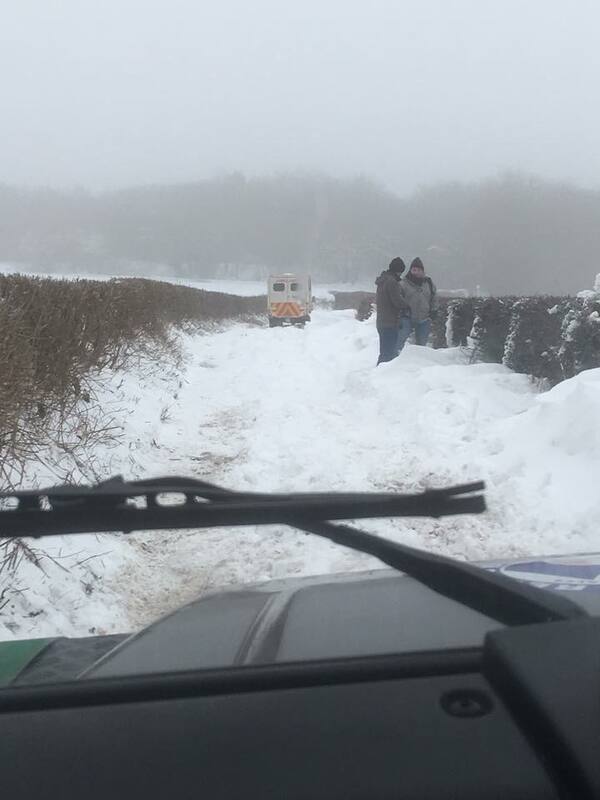 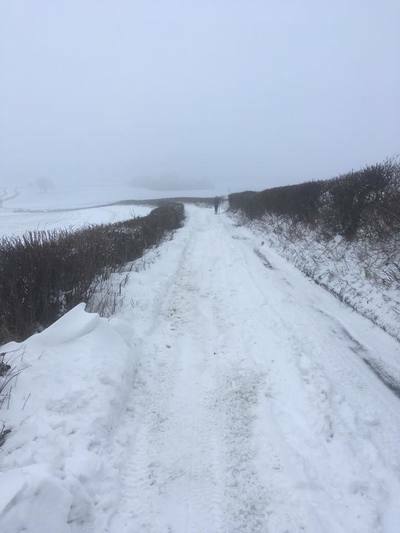 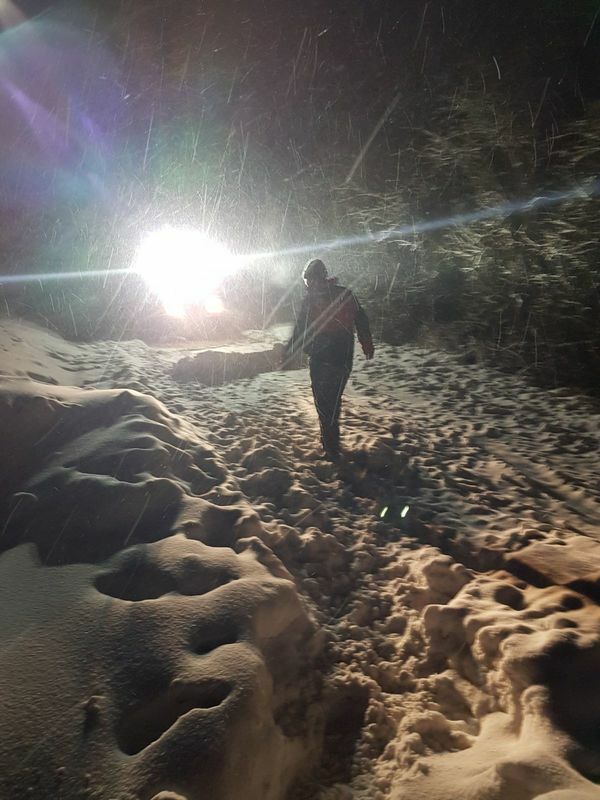 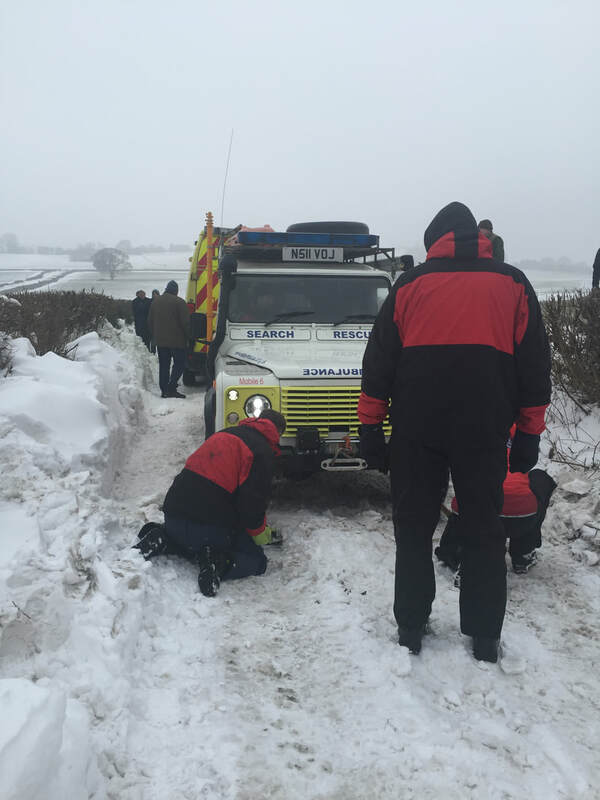 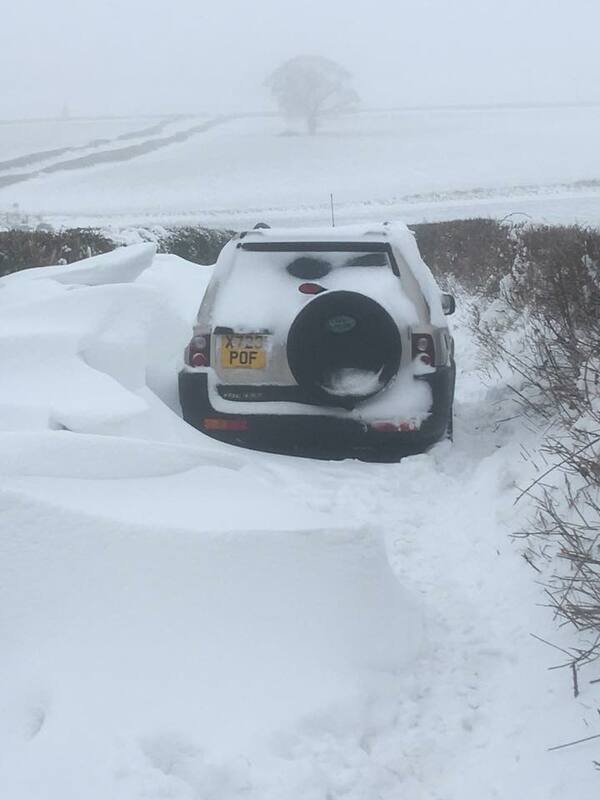 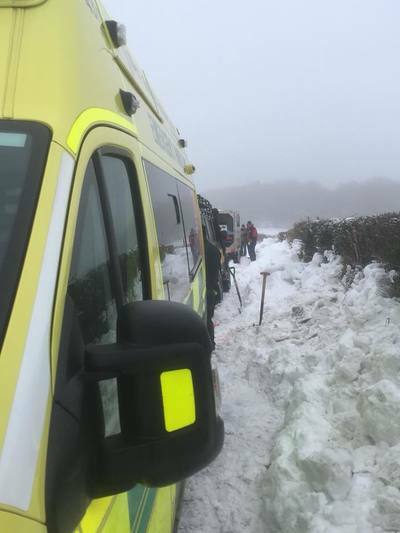 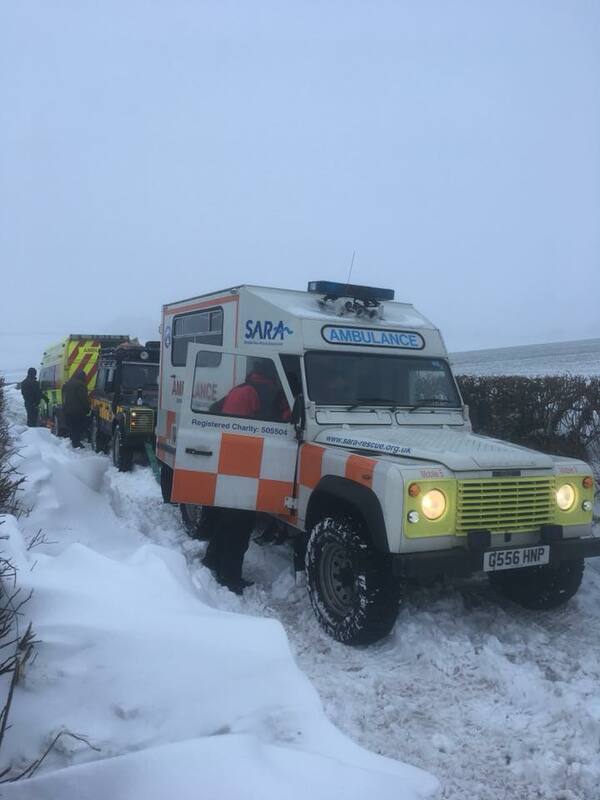 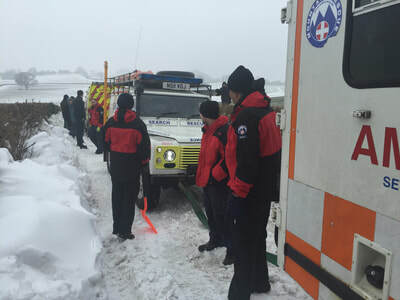 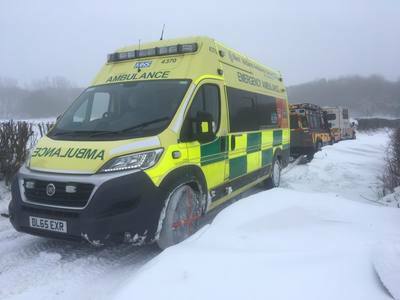 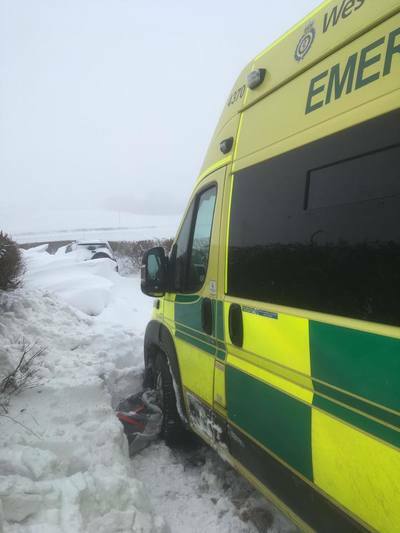 During the 4 days we transferred patients to hospital for urgent medical appointments and responded to stranded WMAS Ambulance's which became stuck in the snow. 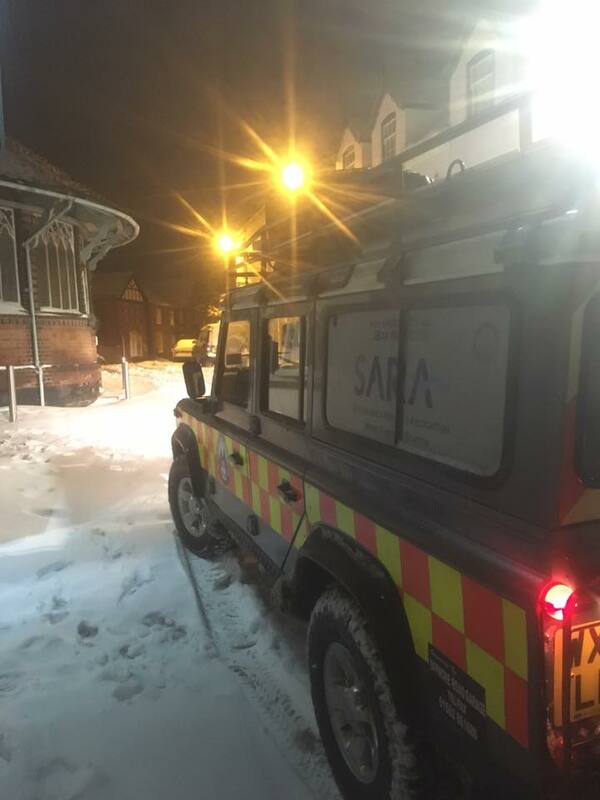 SARA also helpped the public on route where appropriate. 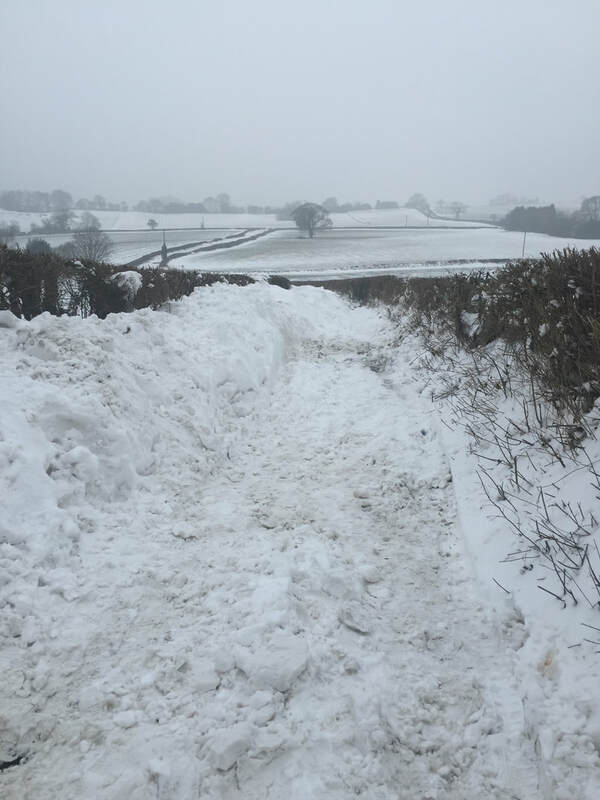 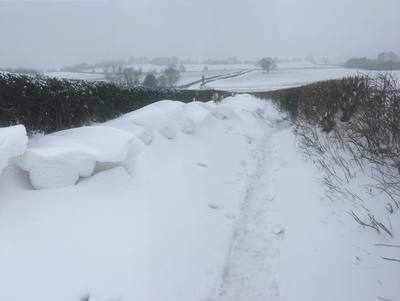 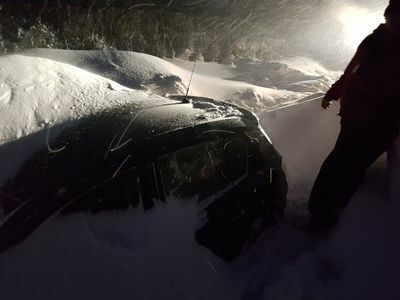 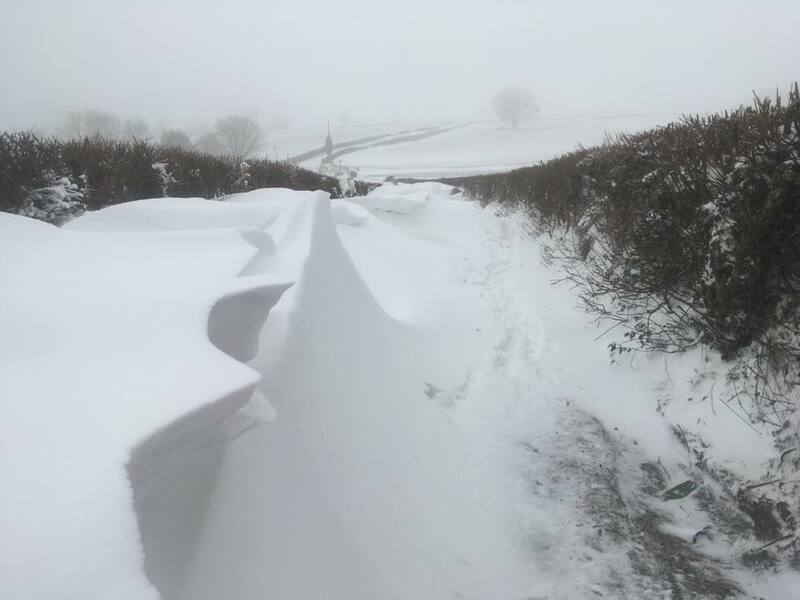 The image above was a blocked lane 7 miles from Stratford, our crew discover a buried vehicle beneath the drift upon further investigation, having been abandoned.